Nowadays, the material handling industry is experiencing the mega effects of automation, of course, in a positive way! In this field presently, many trends are emerging and manifesting higher above the rest. Similar to what we see in the supply chain industry, the material handling field is experiencing some revolutionary changes, including the innovation of new technologies and automation. If you are searching for the best ways to add these principles into your business practices, then you are right at the right stop. With years of experience, here is the scoop you need to hear on automation and the exactly how this trend will change the entire material handling game. Keep in mind that automation continuously evolves; hence, there are new changes and additions that operators can implement on a daily basis. Every moment, the various material handling operations continue to become self-sufficient with different closed systems that shape warehouses. However, too many can end up raising alarms for workers that specialize in this industry. With the help of automation, jobs are becoming easier in warehouses, more available, and they encompass a better scope. In addition, with evolving technologies, the skill set for material handling workers also continues to evolve. As such, this makes jobs to be in more demand and brings along incentives. Based on predictions, 2018 is a year in which businesses may end up losing supply chain management tactics in favor of digital integrations and processes. Since performance driven vehicles become a regular commodity, mastering new performance interfaces will become a rising trend. As such, businesses can take up bulk projects and create teams to focus on better deployment methods with technologies going digital. Keep in mind that automation is something that will continue to grow and evolve. As each year passes by, automation will continue to change the way operators handle equipment. A task governed previously by management personnel will be monitored by machines, controlled by humans in the most basic roles. However, the good news is that automation cannot replace human beings. Although these jobs will expand, it will become a concept fully mechanized in the future. 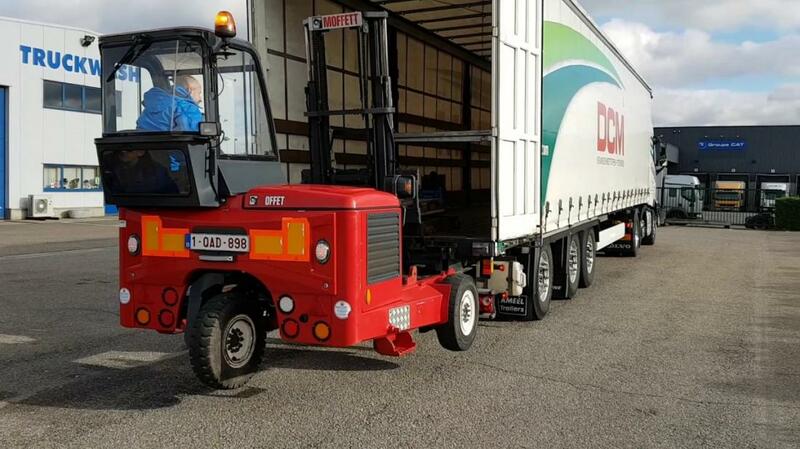 Regardless of whether it is the operation of Moffett lift trucks, shipping, logistics, receiving, or the management of inventory, automation will oversee it. At Moffett Truck, we believe that automation is quite important for the smooth operation of material handling tasks. It makes it a lot easier to complete tasks. For the best quality forklifts in town, you are at the right stop. When you come to us at Moffett Truck, you will see that we have automated forklifts, and the best quality, efficient equipment in store for you. We have used and brand new Moffett forklifts for sale at unbeatable prices. For more information on the best models, specifications, load capacity, or any other important detail you wish to know, rest assured that we are just a phone call away. Don’t hesitate and contact us today!